Lots of twins have a special connection – being able to finish each other’s sentences; sensing what the other is thinking; perhaps even knowing when the other is in trouble or in pain – but for 12-year-old twins, Matt and Emily Calder, the connection is beyond special. Together, the twins have extraordinary powers – they are able to bring art to life, or enter paintings at will. Bone Quill was released in the UK on February 7, 2013. 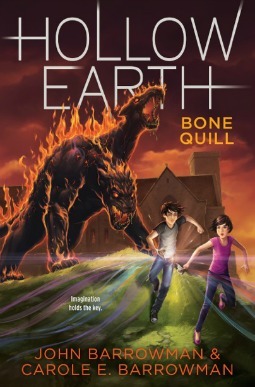 Bone Quill was published in the US on July 9, 2013 by Aladdin Books, an imprint of Simon & Schuster. Bone Quill is available for order from Amazon and all good booksellers. The AudioBook of Bone Quill, read by John, was released by AudioGO on February 18, 2013 and is now available for order.